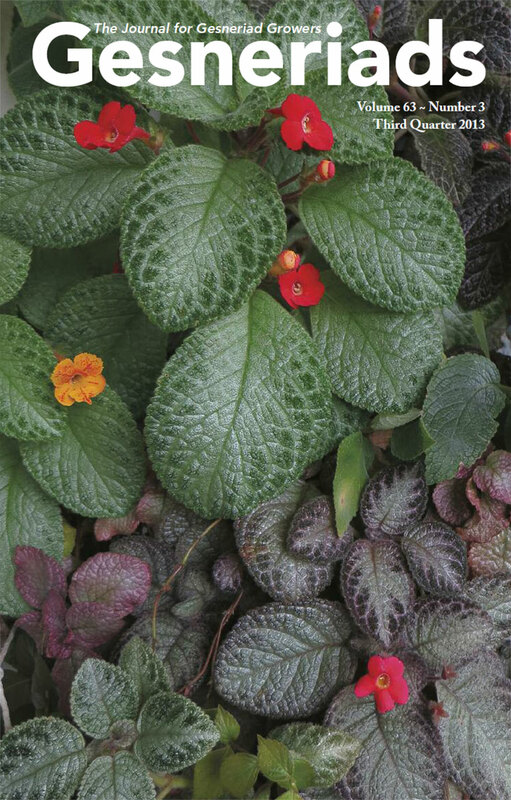 The Gesneriad Society, Inc. is the International Registration Authority for all gesneriad hybrids except those in the genus Saintpaulia. As the registration authority, the Gesneriad Society is required to publish all hybrids which are registered by hybridizers. This requirement is fulfilled by the publication of new hybrids in the journal Gesneriads, with complete taxonomic descriptions (accompanied by photographs), on a periodic basis. The published information is augmented by the searchable online listings. There are two registers (which contain both registered and non-registered hybrids, cultivars and also species) that are available from the online Shop. The registration form should be downloaded, filled out and mailed to the registrar (address below), or the info typed into it, saved and emailed to her (at email above). Photo should be good quality and at least 1200 x 1200 pixels. There is no charge to register your hybrid! For assistance or for more information on registering gesneriads, email Irina Nicholson. Underlined IR numbers link to photographs or descriptions of the plants, when available. In most cases, the photos are the official registration pictures submitted by the hybridizers.